Interior designers do more than pick out curtains and chairs. A top priority in their job description is to design interior space for function and safety. Aesthetics play an important part as well, but the best interior designers are capable of creating useful, functional space of great beauty. 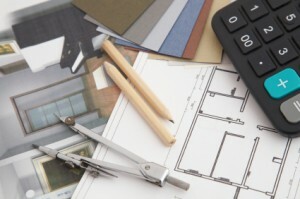 It is not surprising that top interior designers can earn a high salary. Interior designers can earn an average of $45,000 in a year. Most positions in this field require a 4-year college degree. An interior designer’s salary depends to a great extent on his experience and the school where he graduated. Other factors may come into play for the salary of an entry level position, including grades and geographical location. Take note that an interior designer will always have a higher salary than an interior decorator. This is because an interior designer is required to have more educational training and skills than an interior decorator. While an interior decorator focuses on aesthetics, the interior designer needs to consider functionality and safety aspects as well. An interior designer can earn a starting salary from $22,000 to $40,000. The salary varies according to amount of experience, field of expertise, and specialization. In general, interior designers who do commercial designing earn a higher income than those who do residential designing. Likewise, a highly experienced and well established interior designer can earn a six-figure annual income. Working within a specific industry can also account for variations in salary. Interior designers who work in specialized design services and architectural, engineering and related services earn more than those working for furniture stores, building materials and supplies dealers. Designers who work for engineering and architectural establishments earn an average of $53,000 a year. Salaries increase as they gain more experience and exposure in the field. Freelancers or self-employed interior designers are usually paid by the hour or on a per project basis. In the USA, they usually earn between $35 to $124 per hour. On an annual basis, freelance interior designers earn a salary of about $52,000. You can earn a very good income as a freelancer. However, it is a good idea to gain some experience first by working with an established interior designing firm before going off on your own. Some established interior designers can earn a salary amounting to $100,000 a year. If you are creative and artistically inclined with a love for mixing and matching furniture and fabrics, a career in interior design may be perfect for you.